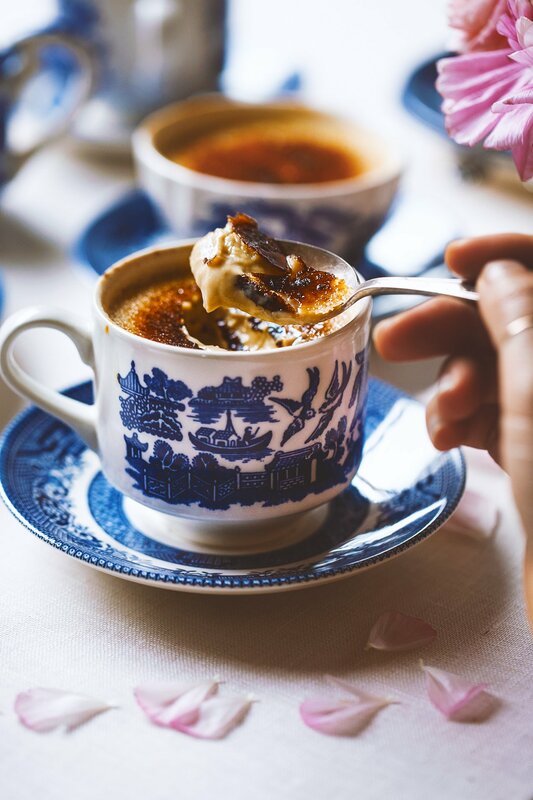 If you haven’t noticed yet, I’m a bit obsessed with infusing my desserts with tea. 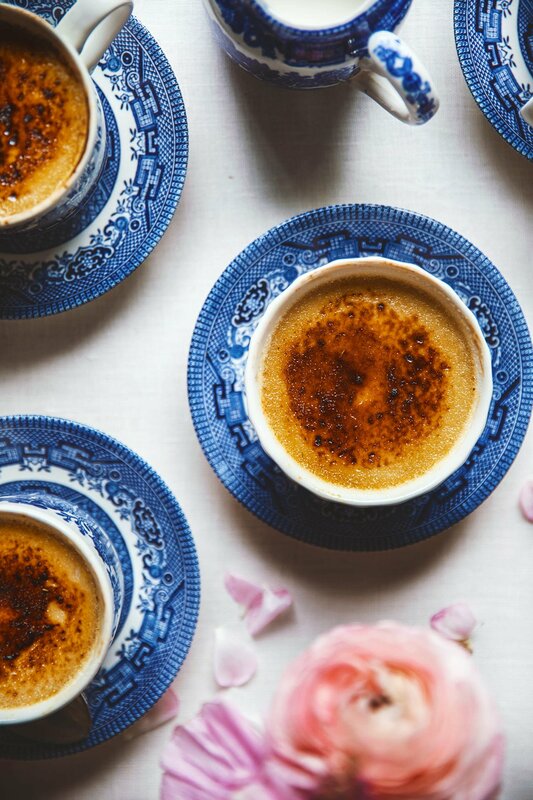 My go-to is usually Earl Grey (I just love the subtle bergamot flavor) and I’ve done an Earl Grey crème brûlée before. 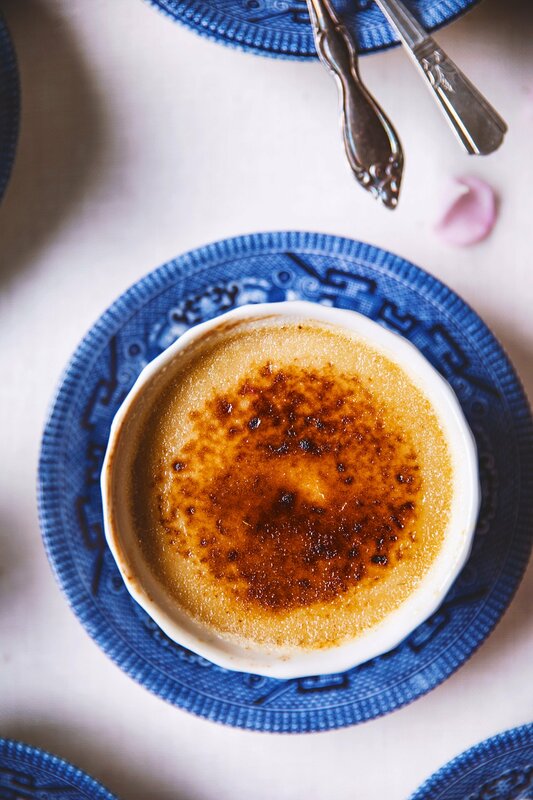 This time, I thought I’d change up this simple crème brûlée with oolong tea. I had never thought to use oolong tea, a lightly roasted tea– slightly floral and full-bodied, in a dessert, until I had Humphry Slocombe’s Oolong tea ice cream that changed my life. Okay, that’s an exaggeration, but I still think about that ice cream to this day. 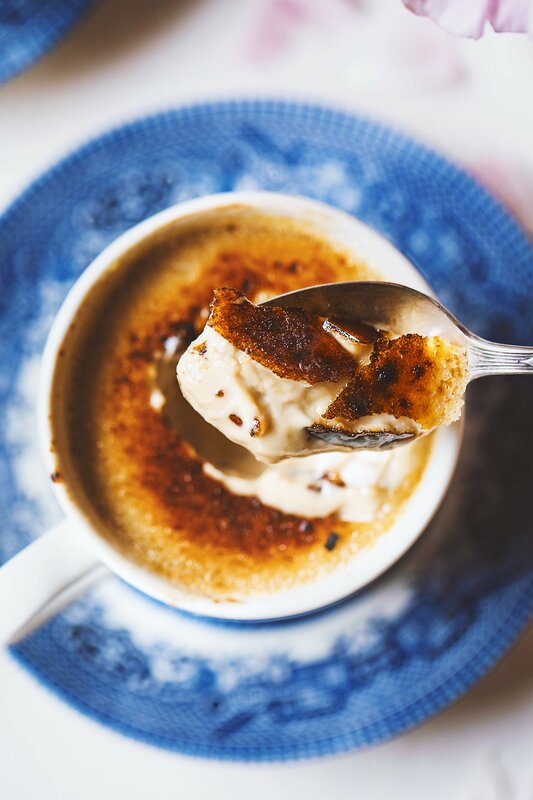 This oolong tea crème brûlée had all the silky rich texture and subtle fragrant tea flavor that I loved in the ice cream with the added caramelized crunchy sugar. 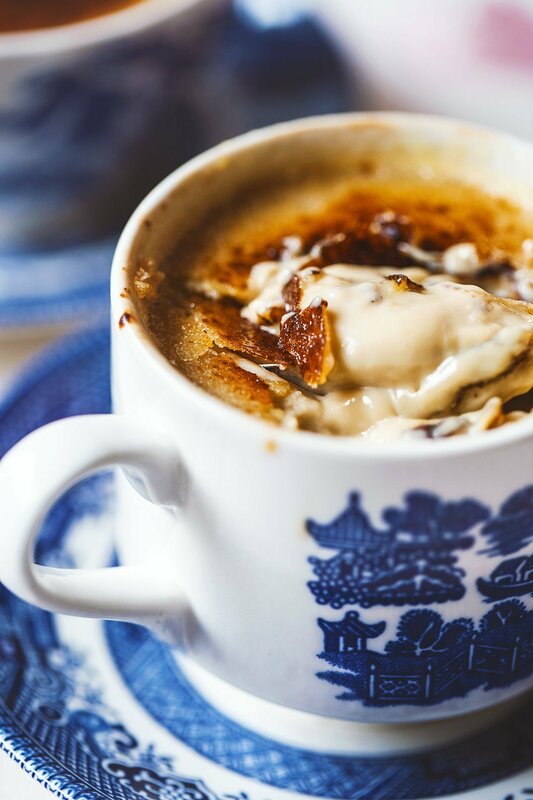 If you haven’t experimented with tea and desserts, I think you’re going to love this one! Pour the cream into a small pot and heat until scalding-- just until the edges begin to form bubbles. Lower heat to the lowest possible heat setting and add tea bags. Steep for about 5 minutes, occasionally pressing the tea bags against the side of the pot with the back of a spoon very gently, trying not to break the tea bags open. The cream should be a light pale brown. It would be helpful if you could list the number of servings this recipe yields. Thanks! 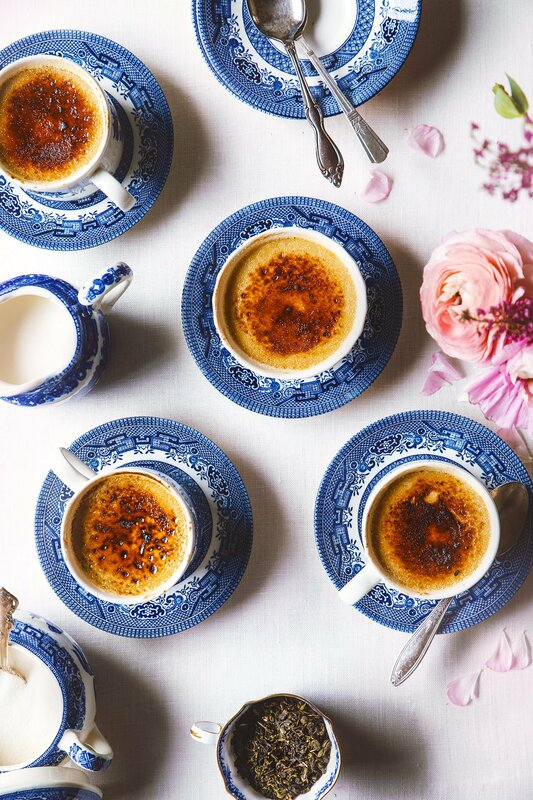 This sounds amazing- I love the use of the tea cups, such a creative and pretty presentation!